‘650,000 hours’ played on Amodeo’s mind for a long time after reading it: a number so large yet so finite. Many questions were raised: what hour was she up to? How many did she, theoretically, have to go? And what was she doing during these hours that were marching always away? So, in an exercise of addressing her definite 32-year past and suggested 42-year future, this 65-book series traces, through a list of dates and times, from the hour of Amodeo’s birth to locate her 650,000th hour. 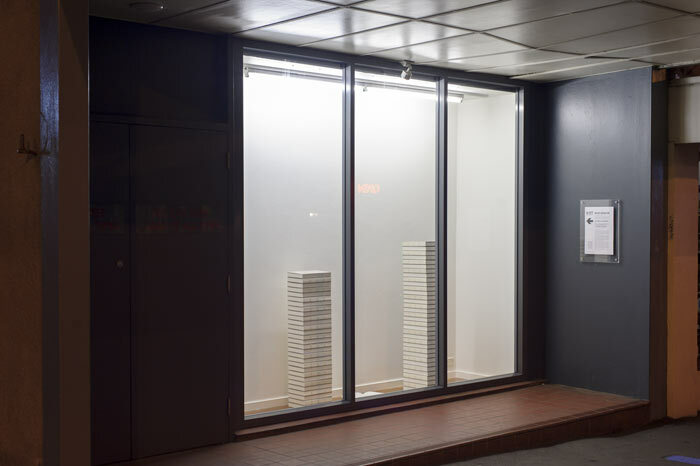 Presented in the Gallery's Rear Window space are 28 books that catalogue Amodeo's past and 36 books that catalogue her future, divided into two tall stacks. The 29th book will always be open at the current time, positioned so viewers can see the open page. Every two or so days the page of that book will be turned to reflect the accurate time. Through its starting point, the artist’s birth, this beautifully minimalist work is a personal reminder of Amodeo's ‘time’. 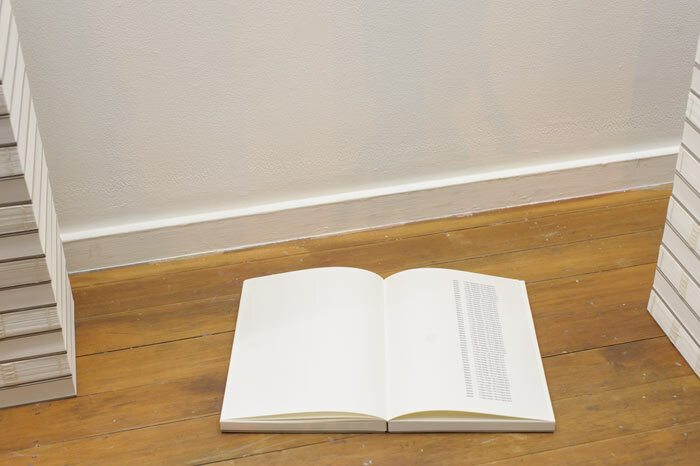 Yet the way the work changes over the course of the show, although slight, acts as a reminder of how these hours are shared by everyone and spent in a multitude of ways. * Bryson, Bill. (2003). A Short History of Nearly Everything. London, United Kingdom: Black Swan Publishing.